PowerPoint templates are slides or a collection of slides that allow the users to impart a cohesive look to their presentation. A proper PowerPoint template is the simplest method to achieve a consistent design scheme and consists of background styles, layouts, fonts, effects, content and colours. Apart from the various free templates available in PowerPoint, users can download new customized templates to store, reuse and share them as required. The PowerPoint template happens to be the slide master, responsible for controlling the overall appearance, the colour, the text placements as well as all the other design elements located in the presentation. You must open a blank presentation and then select the Slide Master option in the Master Views group on the View tab. In order to make changes to the Slide Master, you can remove an unwanted placeholder by clicking the slide master or layout containing the placeholder in the slide thumbnail pane, selecting the border of the placeholder and then pressing Delete. Alter the theme, background style, slide size, the position of the placeholder and then save the presentation in the PowerPoint template (.potx) format. When making a PowerPoint presentation, the maker put special thought and attention in making the slides look attractive. A good-looking presentation always keeps the audience engaged. With the help of the various PowerPoint templates we have lined up for you on this page, you will get ample choices to select from! There are numerous sites on the Internet which offer free PowerPoint templates to the users. These websites boast of an amazing collection of templates and they have made them available for free download. The user is free to browse through the various PowerPoint templates Free and then choose the right one as per the colour or category. Animated PowerPoint templates are commonly available for free on the Internet and they can be used to create impressive presentations with animated backgrounds for PowerPoint. There are loads of options to choose from and the user is able to choose the template they want with the proper video backgrounds and clip art. Professional Powerpoint Templates are intended for professionals to create Effective Presentations. The best professional Powerpoint templates should focus on getting the features that will augment the content of the presentation.They are available for free on the internet, You can download them easily and modify according to your requirements. PowerPoint templates free download for business can easily be downloaded from the Internet and they deal with different business related presentation topics, including finance, management and marketing. In order to appeal to the corporate crowd, these Business Powerpoint templates usually boast of sober and sophisticated designs with engaging background graphics and muted colour schemes. PowerPoint presentation templates belong to various categories and they can be used in different kinds of presentations as per the requirements of the user. 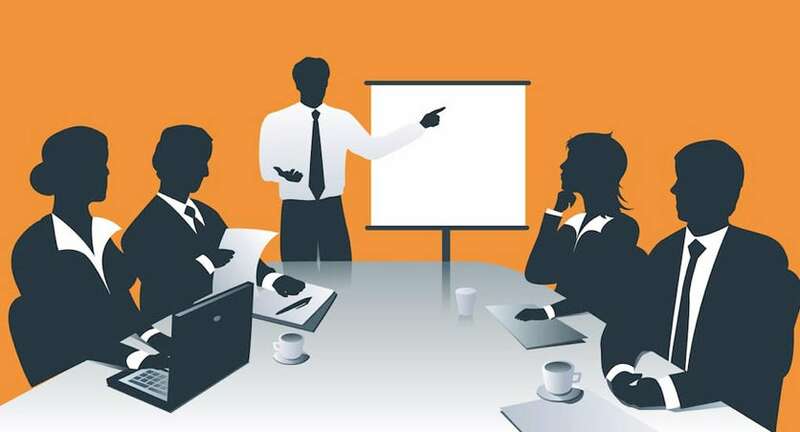 The PowerPoint presentation design templates can be modified through the use of pictures, illustrations and animations. There are plenty of medical PowerPoint templates available online which help create more effective content for the medicine industry. The backgrounds of these templates have been specially designed for students and professionals working in the medical industry. They can be used to give a professional look to the entire presentation and covers themes like wellness, healthcare and medicine. Jeopardy PowerPoint templates allow the user to create custom Jeopardy games which enable students to prepare for a test, review past information and even be introduced to a new unit in a simple and convenient manner. This template is great for students since they will be able to take a break from regular learning and have educational fun in the game of Jeopardy. The user can quickly browse through the Powerpoint Design Templates catalogue, which remains sorted according to tags and categories, and then choose the template that will suit their presentation. Creative PowerPoint templates are a fine way to attract the right audience for your presentation. These templates are a source of inspiration and they contain the best cultures throughout the world. They are indicative of high creative skills and their format and design is guaranteed to grab the attention of everyone. Timeline-based presentations are usually useful in professional and business settings. If you’re tasked with creating a timeline and incorporating it in your presentation, you can download a timeline PowerPoint template. A timeline makes the information and facts displayed in the presentation look more effective, and plus saves the presentation from being heavily textual. You can also see Powerpoint timeline template . Christmas PowerPoint Templates are ideal for festive holiday greetings and presentations. The templates boast of Christmas graphics which are fun and pleasant, usually depicting X-mas trees, reindeer and Santa Claus. The colours used in the template are mostly red and green and gold, capturing the spirit of the Christmas holidays and appealing to a universal audience. There are various types of game templates for PowerPoint available at no cost and they are ideal for use in the classrooms. These Powerpoint game templates are customizable and the user has to devise the questions and the answers. The presentation of the template handles the rest. The game template must first be saved into the file and then you can insert your questions and answers.